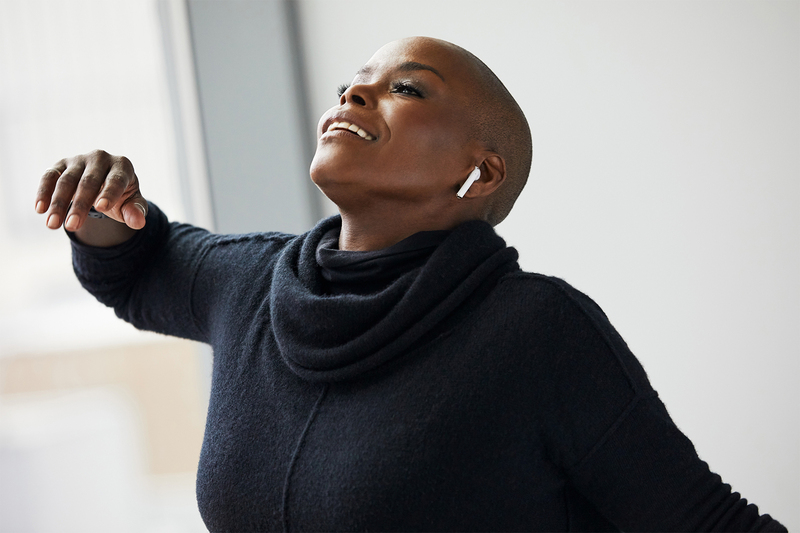 Art and form: Dancer Hope Boykin explores freedom with AirPods<br/>In her own words, Hope Boykin is a creator. She’s an educator, a mover and a motivator. And she’s also a bit of a techie. <br/>A self-proclaimed early adopter, Boykin laughs at her sometimes extreme lengths to get the latest iPhone, or strategically enlisting fellow company members to pick up AirPods for her while she was traveling in 2016. <br/>“I knew they were going to change everything,” Boykin says. <br/>At rehearsal, colleagues grilled her about whether they would like them, using Boykin as their own personal gadget reviewer. Boykin even relies on her AirPods to drown out the world during her physical therapy (PT), putting herself in a bubble, from the PT table to her subway ride home. Today, AirPods are the world’s most popular wireless headphone. “When I’m on the train and I look down the line of the subway, everyone has AirPods in,” she says. <br/>A dancer performing with the Alvin Ailey American Dance Theater (AAADT) for 19 years, Boykin has been moving since she was 3 years old, and dancing professionally for the past 26 years. <br/>Since then, Boykin has embraced every technology available to her. From an early cassette camcorder to her AirPods and collection of iPhones that she rigs up in the studio alongside a DJI Osmo camera to record her rehearsals from every angle, Boykin is obsessed with the art of capture. She produced her own book, “Moments,” a collection of her words, musings and imagery of herself. She has a series of videos (shot and edited — by her — in Final Cut Pro) that she uses to express herself in her “off time.” Her students are her latest medium. <br/>While technology might seem like the antithesis of dance, it has transformed the experience, enabling students the freedom to move and learn in their own way, at their own speed. For Boykin, it’s allowed her the freedom to create, regardless of her ability to move.